Early adulthood is an extremely diverse period of life. It encompasses a wide range of lifestyle choices and responsibilities. Some people launch directly into adulthood at the legal age of 18, while others take a much more prolonged course. Our industrialized culture has created the opportunity for many young people to have a longer period of transition from adolescence to adulthood, sometimes termed “emerging adulthood,” that can last into the mid 30s. There is so much variability in this period of life that it is too vast to discuss it all here, but there are certain common areas of growth and development that occur in young adulthood. 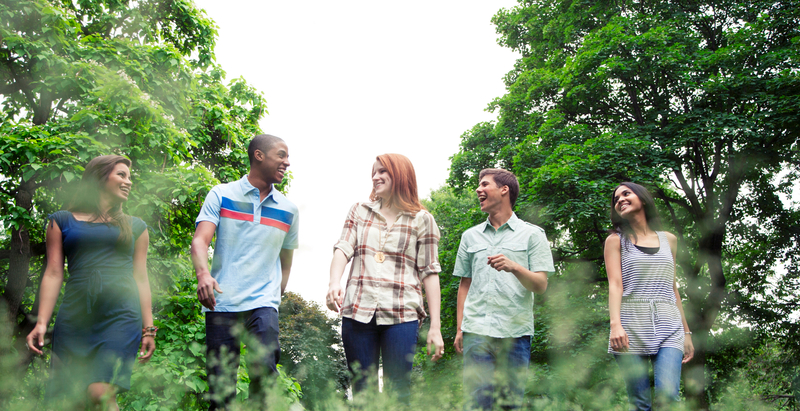 Young adults arguably do more choosing and changing than any other period of life. As the young adult progresses, he or she struggles with questions about occupation, family, living situation, lifestyle, values, and cultural and political ties. One marker of adulthood is the attainment of economic independence from parents, which for some may be much later in life due to prolonged exploration of education and interests. Developing a career is an important task that requires the skills of learning to cope with work demands, getting along with co-workers, responding to authority, and advocating for needs and goals. When one is successful in their work environment, they feel a sense of personal accomplishment, increased social connections, and financial independence. Young adults often move geographically for educational or occupational opportunities, which can cause people to leave their social support network. Finding new friends and a sense of belonging to the community can be a difficult task, but one that creates a better sense of well-being. Many people develop a sense of social connection through their workplace or by joining organizations, clubs, a church or other place of worship, or by getting involved in sports or other activities of interest. One’s own personal identity continues to develop after adolescence, and most people cultivate a sense of purpose in the world, confidence in their own abilities, determination and persistence in the face of obstacles, and personal responsibility for their actions. Many young adults develop a sense of acceptance of their own strengths and weaknesses as well as a generally positive self-esteem. Forming a warm and stable romantic relationship is important to most people, but it can be hard to balance the pull for independence and freedom with the desire to have an intimate partner. Some people choose to remain single to pursue other goals, or they stay single due to inadvertent circumstances. Many people marry or live with a partner, which can create both joy and stress as people learn to express their needs and concerns, listen to those of their partner, and cultivate a willingness to compromise. Good conflict resolution skills are beneficial and promote stable relationships. Having children is another choice many people make during young adulthood. This can be a wonderfully rewarding and stressful at the same time, as one works to balance work and other relationships with caring for a child. Parenting is another challenge that is ripe with opportunity for stress as well as happiness. Change is always stressful, whether it is a good thing (like marriage or having a child) or a bad thing (like the loss of a relationship or a loved one). So, in a period of life that is full of change, there are many opportunities for challenges and stress. Searching for a career in a difficult job market can make people feel less effective and hopeless if they are denied employment. Financial strain can increase stress and anxiety and make living circumstances difficult. Lack of success in finding a romantic partner can leave people feeling lonely, rejected, and excluded. Unmet expectations of a career or a marriage can leave people disappointed and depressed. The challenge of raising children and balancing work and home life can create difficulty. Moving to a new place without a social network can make people feel isolated. The onset of depression, anxiety, bipolar disorder and other mental health issues commonly begin in this age group. The stressors of this time period can worsen pre-existing conditions as well. Treatment can help you learn more about the problems and help find ways to cope and work through the issue to increase success. 3-C is a safe place where a professional will listen nonjudgmentally and help guide you to better insight and confidence. We have a broad range of specialists who can help, including psychiatrists, psychologists, and licensed therapists. There are no set criteria for seeking help. No problem is too big or too small. If there is something bothering you, talking about it with an expert can help.